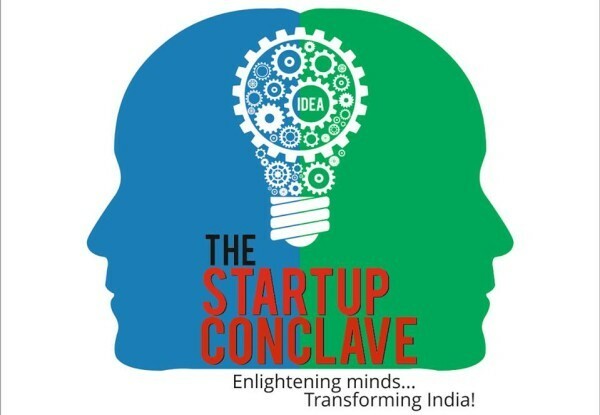 Bharatesh Education Trust’s Global Business School (BETGBS) is organizing The Startup Conclave in May 2016. On the occasion of the National Youth Day (Birth Anniversary of Swami Vivekanand), the logo of the conclave was inaugurated at the Bharatesh Campus at the hands of young startup founders of Belagavi. Mr. Uday Kinjawdekar of Allaboutbelgaum.com, Mr. Mihir Khandekar and Mr. Khalil of www.iamhangryoye.com , Mr. Jitesh Shah of www.foodbuddy.in , Mr. Brian and team from Made Creative Works Belgaum were present for the unveiling of the logo. Dr. Govind Welling, Director, BET, welcomed the guests and elaborated on the objective of the conclave. Shri Vinod Doddanavar, Chairman (Governing Council-BETGBS) highlighted the scope for startups and the momentum it has gained in the recent years. Mrs. Swatee Jog made a small presentation about the structure of the conclave. She said that the main objective of the conclave is to provide access to people, resources, funds, mentors and govt. agencies under one roof and to ignite the startup idea among the talented student community of Belgaum. The invited guests shared their startup stories at the occasion and welcomed such an initiative by BETGBS. Shri Rajeev Doddanavar urged the student community to come up with brilliant ideas for business that can prominently put Belgaum on the world startup map. The conclave, scheduled in May 2016, will see a host of prominent startup founders from India, Angel Investors, Academicians, Venture Capitalists, Govt. officials involved with the startup mission, banks, financial institutions, etc. addressing sessions, workshops, mentoring sessions, etc. A series of events and workshops are planned in the runup to the event which shall benefit the students and startup aspirants of Belgaum.